Cricket Ireland today announced the squads and fixtures for the 2018 Toyota Super 3’s Series, ahead of an exciting season for women’s cricket in Ireland – with team captains giving an assessment of the tournament ahead. The Toyota Super 3’s Series is the peak domestic cricket competition for women’s cricket in Ireland. It features three squads – Scorchers, Typhoons and Dragons - that play a series of 20-over and 50-over matches between May and September each year. The Scorchers claimed the title in 2017, having won seven of eight matches, and look set for another big season under the captaincy of Kim Garth. Kim has recently returned from a successful Australian summer during which she was part of the winning Women’s Big Bash League team. “The Super 3’s competition has really gone from strength to strength and is becoming increasingly competitive every year. We expect our title defence to be a tough challenge,” said Kim. “2017 was a very successful season for Super 3’s, and it was brilliant to see players score big runs and build big partnerships. This season I hope we continue to do that and ultimately translate this form onto the world stage through the national team,” said Laura. “The standard of the Super 3’s competition has improved every year since its introduction, and last year was no exception. 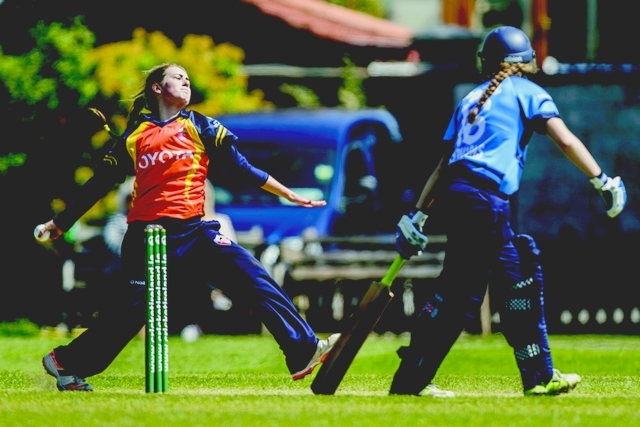 We know well that the competition is a vital stepping stone to international cricket, and with a big international calendar year ahead of us, it will provide our squad with invaluable game time at the next level up from club cricket,” said Shauna. “The Toyota Super 3’s Series provides the talent pool for our national women’s side – and all players are acutely aware that a breakthrough season at Super 3’s level can lead to national and academy selection. That’s the motivation behind what makes this series so competitive,” said Hamilton.